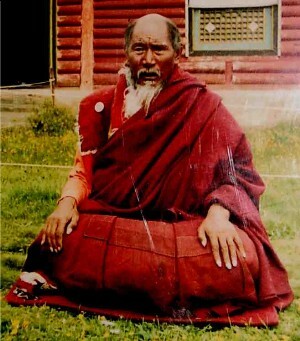 Khenpo Munsel (Tib. མཁན་པོ་མུན་སེལ་, Wyl. mkhan po mun sel) (1916-1993) — a student of Khenpo Ngawang Palzang, he was imprisoned by the Chinese for many years, during which he gave Dzogchen teachings, such as Yeshe Lama and Chöying Dzö to other lamas in the prison, including Adeu Rinpoche and Garchen Rinpoche. Nyoshul Khenpo, A Marvelous Garland of Rare Gems: Biographies of Masters of Awareness in the Dzogchen Lineage, Padma Publications, 2005, 'Golok Khenchen Munsel', pages 524—526. This page was last edited on 28 May 2011, at 17:51.